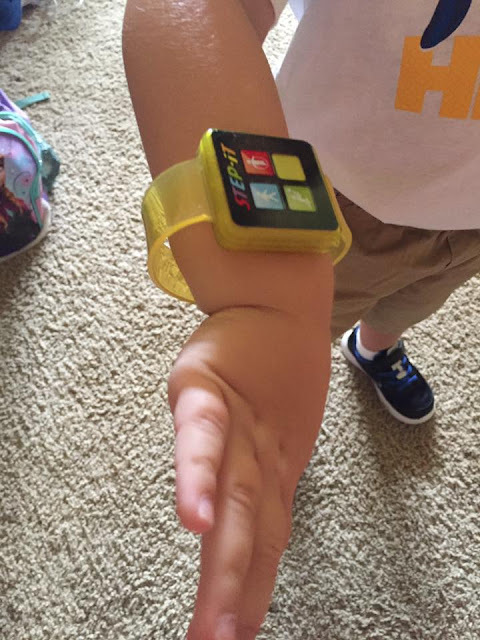 An attempt by McDonald’s to get kids moving isn’t working out so great: The chain said it will no longer distribute activity trackers in its Happy Meals after reports that they might cause skin irritations. If your kids have this happy meal toy do not let them play with it. 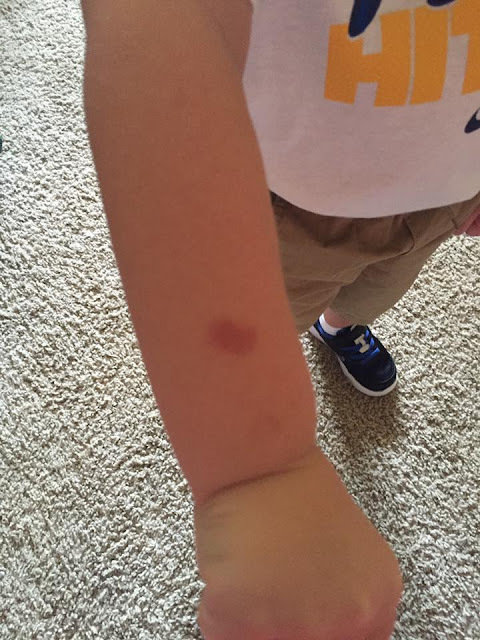 Cason has a burn after playing with the toy for about 8 minutes. The toy has a red light in it that is powered by the battery on the back that possibly is the cause of the burn. 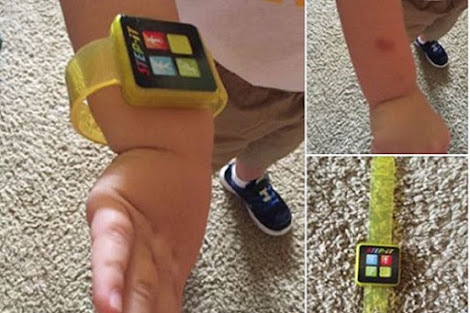 The Step-it toy is a pedometer worn like a wristwatch. According to Endgadget, the toys were being given out in every Happy Meal sold in the U.S. and Canada. A toy review shows they have "Power" buttons and either digital displays or lights surrounding the face. Collyar says the toy's battery is encased by plastic, but she noticed heat radiating from it when she held it in her hand. The fitness bands, which were available in the U.S. and Canada, were seen as an odd promotion in some circles because of McDonald’s reputation for serving fattening junk food. The chain has been trying to shed that image over the years, particularly with parents, in part by tweaking its Happy Meals to include fruit.